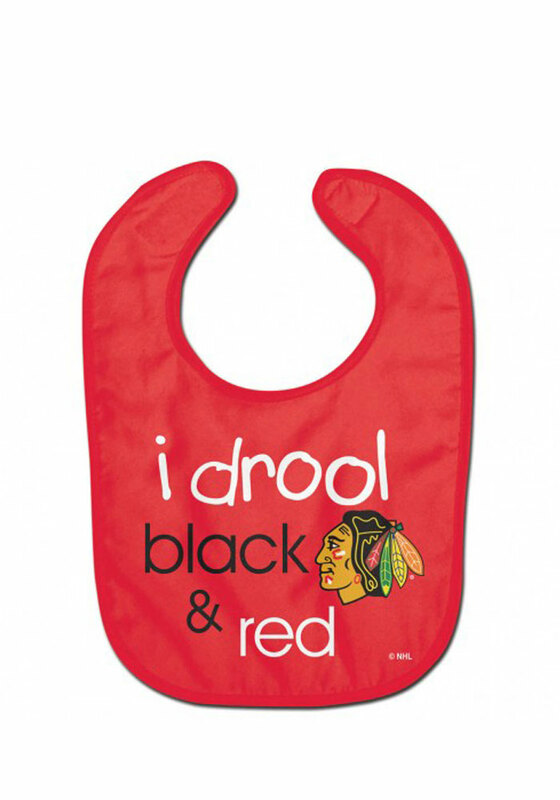 Make sure that your little Blackhawks fan is getting started early with the right team I Drool Baby Bib. This Chicago Blackhawks Red I Drool Bib features a team logo and 'I Drool Black and Red' graphic. Go Blackhawks!